Stephen E. Fox | Ruskin Moscou Faltischek, P.C. 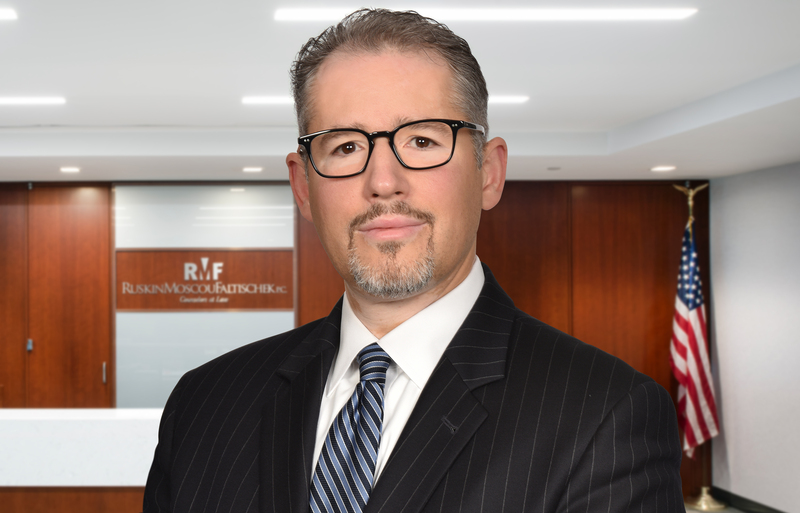 Stephen E. Fox has nearly 20 years of experience as a corporate and securities lawyer, acting as a trusted counselor and adviser to companies, individuals and investment funds. He has advised both strategic and financial clients across numerous industries, including technology and Internet, medical device, manufacturing, entertainment, energy, food and beverage, media, and financial services. Additionally, as transaction counsel, he has led or has taken an active role in hundreds of transactions, ranging from less than $1 million to more than $1 billion. He prides himself in his application of practical and real-world guidance and solutions to client issues, not simply reciting the law or falling back to customary practice. A partner at Ruskin Moscou Faltischek, P.C., he is a member of the firm’s Corporate & Securities Department. Stephen represents public and private companies with respect to the offering and sale of registered and unregistered securities. He represents issuers in their sale of common stock, preferred stock, high-yield and investment-grade debt (both with and without conversion features) and other types of securities, and also represents investors seeking to invest in such companies. He has experience representing issuers and placement agents in Regulation D private placements, IPOs, Rule 144A transactions and PIPEs transactions, among others. In addition, he represents issuers, placement agents and brokers with respect to reverse merger transactions, both with or without a financing component. As well as representing start-up companies in their initial formation and capitalization, he represents angel and other investors with regard to various financing rounds in early stage, late stage and growth capital companies. He counsels such companies on a broad range of issues, with an emphasis on those of particular import to start-up and developmental stage businesses. Stephen is active in Long Island’s emerging companies’ community and is a volunteer mentor to start-up companies through LaunchPad Long Island, a business accelerator and co-working community on Long Island. Stephen advises buyers and sellers of businesses in connection with mergers and asset and stock purchases and sales. In addition, he has experience representing investors and operators in the formation of real estate and other joint ventures and co-investment vehicles, both for single asset transactions and portfolio transactions. In these capacities, he is often involved in the preparation of employment agreements, partnership agreements, stockholders agreements and limited liability company operating agreements, among other forms of commercial arrangements. He represents U.S. and non-U.S. registrants of all sizes with respect to their ongoing disclosure requirements under the Securities Act of 1934. He also counsels executives and boards of directors in connection with the design, implementation and administration of corporate governance and compliance programs. Stephen has experience representing hedge fund and private equity fund managers in the organization and establishment of private investment funds and their continued operations, including compliance with applicable federal and state securities and commodities laws. He is a member of the Nassau County Bar Association and is active in its Corporation, Banking & Securities Law Committee. He frequently lectures on securities law topics and has authored a series of newsletters to highlight significant events in the public company arena. Prior to joining Ruskin Moscou Faltischek, P.C., he was a partner at a prominent New York City-based law firm.